Join us for a special edition of our bi-yearly showcase event which will coincide with the London Design Festival. We’ll be reflecting on 15 years of interactive creative work in the city and showcase emerging #iot work in the arts, architecture and design. Join us to see their products, prototypes or works in progress along with the usual drinks and nibbles. Thanks to our event sponsor Resin (http://resin.io/…). We are looking for a venue, so get in touch with us if you’d like to host! 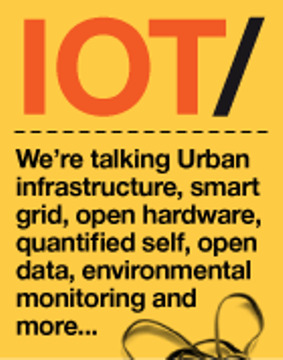 Use @iotlondon and #iotlondon to keep conversations connected and check out http://iot.london… for other resources.